IN STOCK AND READY TO SHIP!! 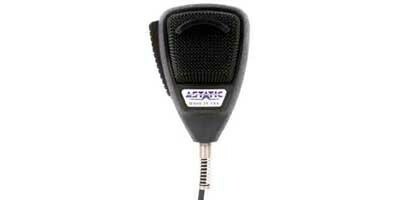 Astatic 636-L Noise Canceling Microphone Wired 4-Pin Cobra Galaxy!! Features: Rugged Impact Resistant Housing Polyurethane Coated Steel Grill Screen Dependable low impedance dynamic element. Perfect Microphone for high noise conditions such as truck cabs. I have had other microphones but they never last like an Astatic.They always out lasted my expectations.